¡Asi leemos! expands vocabulary, strengthens reading skills, and introduces the culture, history, and literature of the Spanish-speaking world. ¡Asi leemos! contains three sections, each one becoming more challenging. 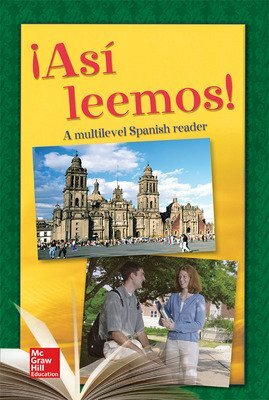 This reader expands vocabulary, strengthens reading skills, and introduces the culture, history, and literature of the Spanish-speaking world.